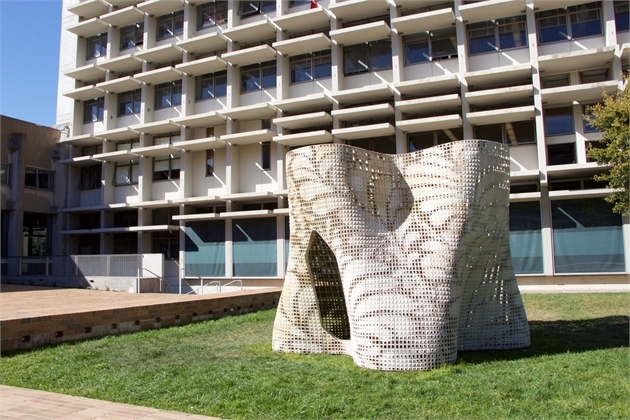 ROCK HILL, SC – Output using 3D printing, “Bloom,” a spectacular architectural-scale structure created at UC Berkeley using 3D Systems’ ColorJet printing technology, has been unveiled. The work of Associate Professor of Architecture Ronald Rael and his graduate student team, the project was presented at the fifth annual Berkeley Circus. Measuring approximately 12 feet wide x 12 feet deep x 9 feet high, this groundbreaking architectural work is the largest and most precise 3D-printed polymer structure to date. Brought to life by 3DS’s ProJet x60 printers, “Bloom” demonstrates how artists, architects and engineers increasingly rely on 3D printing technology to design and produce complex structures with uncompromised speed, cost, accuracy and creative freedom. International Women’s Day, now celebrated on March 8, was first commemorated in the early 1900s, as women across the globe were actively campaigning and protesting for equal rights. What began as small protests, rose to a global scale and trigged over a period of time a series of political, labor and social advancements for women. Unfortunately, these achievements do not always guarantee gender equality in practice (and in some countries laws still exist that favor men). Women still suffer from physical and psychological violence, lower salaries, and a lack of recognition, among other things. While this is the situation for women around the world, there are also specific statistics that show how women in architecture are not valued socially and professionally. 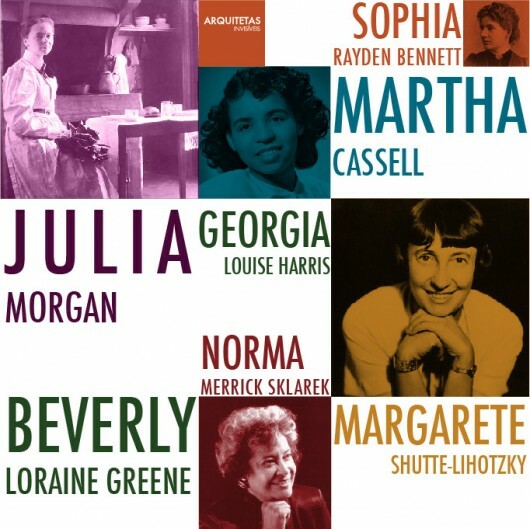 There are few women who gain international recognition, making them unknown to many professionals and architecture students, and making it seem as if they do not exist. Following our top 40 Architecture Docs to Watch in 2014 and our favourite 30 Architecture Docs to Watch in 2013 , 2015 is no exception! Our latest round up continues to feature a fantastic range of films and documentaries telling the tales of unsung architectural heroes and unheard urban narratives from around the world. This entirely fresh selection looks past the panoply of stars to bring you more of the best architectural documentaries which will provoke, intrigue and beguile. 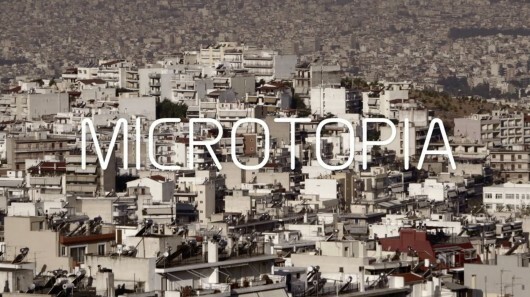 From a film which explores one man’s dream to build a cathedral (#4) and a simultaneous history of and vision of Rotterdam’s future (#7), to a tour of the world’s last surviving squatter town in Copenhagen (#14) and A Short History of Abandoned Sets in Morocco (#16), we present – in no particular order – thirty freshly picked documentaries for you to watch in 2015. Joe Pincus, the very popular and much loved librarian at the UBC School of Architecture Reading Room from the late 1980’s to the mid 1990’s, passed away in Washington DC on May 21,2014, after a short but intense illness. A highly cultured and easy-going person, Joe was a favourite of his students. He revitalized the Reading Room and revamped its systems to better serve their needs, often keeping the Reading Room open to all hours as required. With his broad knowledge of the culture and history of architecture, Joe (who was not an architect) was an invaluable resource for everyone. He was generous with his time and help, giving reference for precedent, advice on papers and presentations, and even serving as a kind but rigorous editor. Joe made the Reading Room his own. Coming in late in the morning, he would grab a beer from the Old Auditorium Café and have smoke, before opening the premises and then staying as long and as late as the students needed. Condolences to his wife Debra, who taught art history at UBC for many years. After more than 35 years “in the trenches” as an architect, specialist consultant and now quality director for a large North American construction company, Brian Palmquist has written An Architect’s Guide to Construction in order to share a balanced wealth of knowledge and experience about the construction phase of building projects. Considering both the consultant and contractor perspectives, he uses 70 true tales to illustrate many of those moments in the building construction phase that confound and confuse designers, builders and their clients. He proposes practical solutions in straightforward language and illustrations targeted to students, interns and young practitioners as well as to experienced professionals. Learn more.